Beautiful coat that will keep your dog stylish and warm. 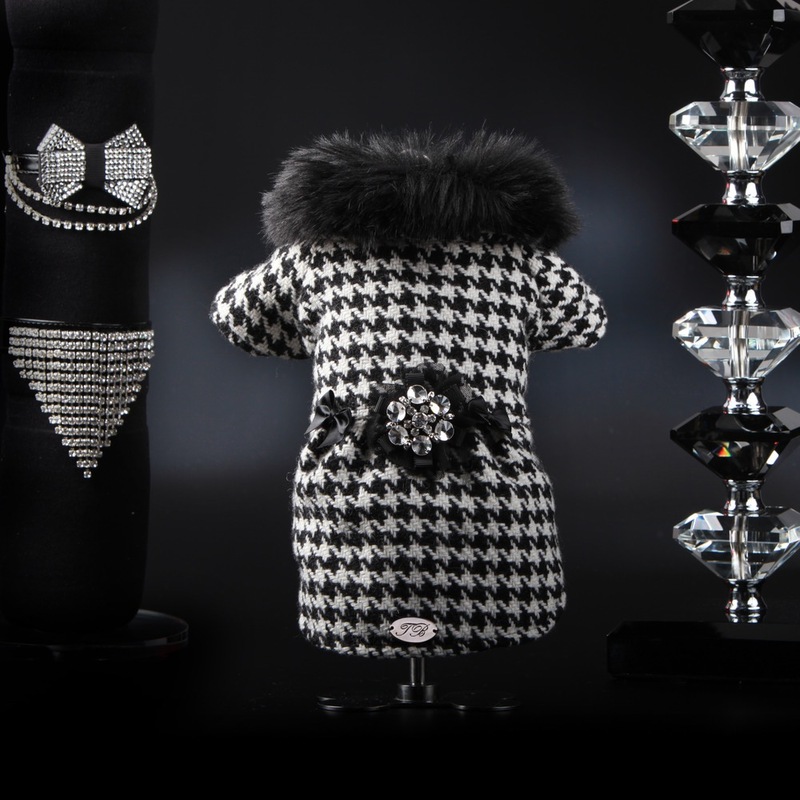 Houndstooth in black and white with faux fur collar in black. Gorgeous flower with Swarovski crystals on the back. Fabric 80% wool 20% nylon.